The HATS project aims at developing a model-centric methodology for the design, implementation and verification of highly configurable systems, such as software product lines, centred around the Abstract Behavioural Specification (ABS) modelling Language. 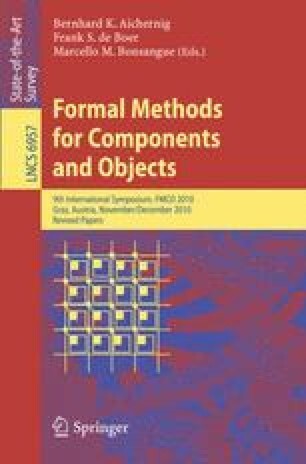 This article describes the variability modelling features of the ABS Modelling framework. It consists of four languages, namely, μTVL for describing feature models at a high level of abstraction, the Delta Modelling Language DML for describing variability of the ‘code’ base in terms of delta modules, the Product Line Configuration Language CL for linking feature models and delta modules together and the Product Selection Language PSL for describing a specific product to extract from a product line. Both formal semantics and examples of each language are presented. This research is funded by the EU project FP7-231620 HATS: Highly Adaptable and Trustworthy Software using Formal Methods ( http://www.hats-project.eu ).